I will be attending the launch party for a project I contributed my Dangerous Liasons piece to at the Rubin Museum on Wednesday, May 23rd. Please join me in celebrating this amazing book. Comics meet the classics in the launch of The Graphic Canon (Seven Stories Press), a gorgeous, one-of-a-kind trilogy that brings classic literatures of the world together with legendary graphic artists and illustrators. 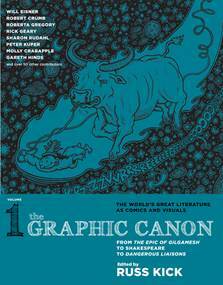 Artists Molly Crabapple, Sanya Glisic and Gareth Hinds join Editor Russ Kick for the launch of The Graphic Canon, a gorgeous, one-of-a-kind trilogy that brings classic literatures of the world together with legendary graphic artists and illustrators. Called the “graphic publishing literary event of the year” (Publishers Weekly) Volume 1: From The Epic of Gilgamesh to Shakespeare to Dangerous Liaisons takes us on a visual tour from the earliest literature through the end of the 1700s. It features, The Tibetan Book of the Dead reimagined by Sanya Glisic, Molly Crabapple’s version of Dangerous Liaisons, Gareth Hinds’ watercolor telling of The Odyssey, as well as Hamlet, The Divine Comedy, The Arabian Nights, Tale of Genji, The Canterbury Tales, The Tao te Ching, Gulliver’s Travels, Don Quixote, Candide, an Incan play, a Native American folktale, works by renowned artists Will Eisner and Robert Crumb and much, much more. This entry was posted in Uncategorized on May 11, 2012 by Molly.